We design each website by starting with a blank sheet, because every business is unique. We want your website to fit you. We don’t shoehorn your business into an existing template. We work closely with our clients, getting regular feedback, so that we don’t waste our time and your money working on something you don’t want. You are the expert on your business, we are the experts on web design. Together we can build something wonderful. We charge by the hour, so that you only pay for the work we do, and so that we can be flexible. We find that all projects evolve over time, but we will always work with an eye on your budget, and discuss any changes and the impact they might have on the final cost. 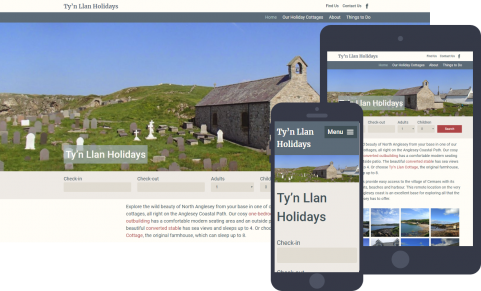 Ty’n Llan Holidays wanted a new website to advertise and take bookings for their holiday homes. 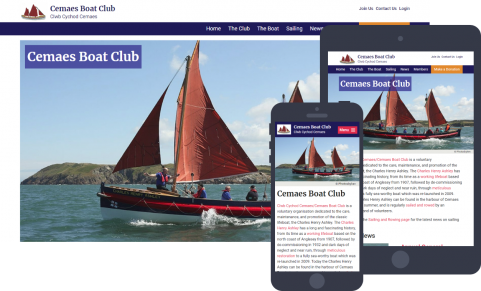 Cemaes Boat Club wanted a new modern website to showcase the Charles Henry Ashley classic lifeboat that they maintain and sail. 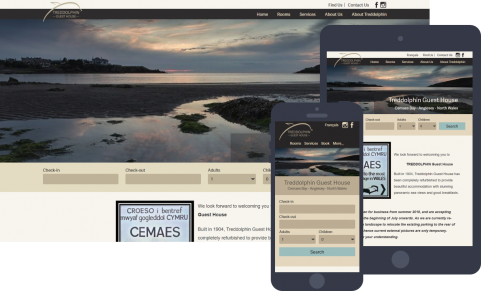 The owners of the Treddolphin Guesthouse in Cemaes, Anglesey wanted a new website to go with their newly refurbished business. 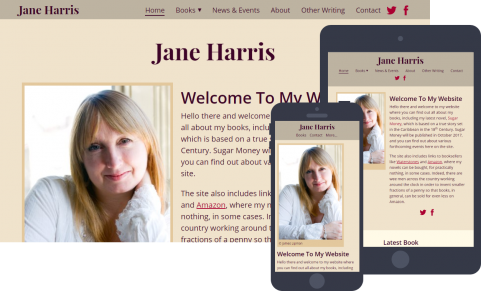 A website for author Jane Harris, timed to promote her new book ‘Sugar Money’ and make it easy to share news and events. From single page brochure sites to full e-commerce online shops, and everything inbetween. Modern, mobile-friendly websites linked to your social media pages for maximum impact. See our web design page for more information or just get in touch. We can set you up on Facebook, Twitter and Google+ and help you manage your whole online presence, linking your social media accounts to your website to increase your visibility and engage with your customers. We can handle domain name management and web hosting on your behalf. It's important to keep your website's software up-to-date to keep it secure. We offer a full site maintenance package. Don't want to maintain your own content directly? Many of our clients send us requests for site updates via email and we take care of it for them. If something goes wrong, or you've just forgotten exactly how to change something on your site, we offer ongoing support at the end of the phone or via email.